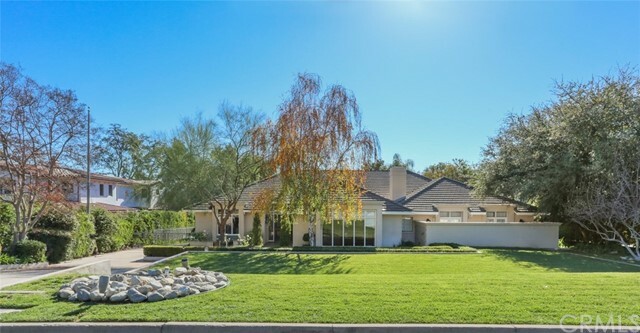 All Arcadia homes currently listed for sale in Arcadia as of 04/24/2019 are shown below. You can change the search criteria at any time by pressing the 'Change Search' button below. 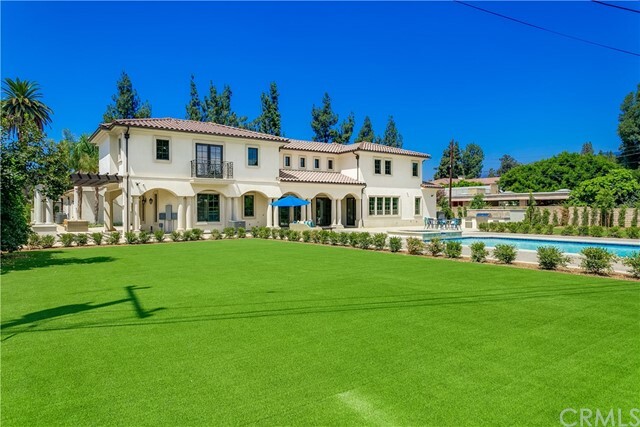 "Live your best life in this classically styled but modernly built estate in the most prestigious Upper Rancho area. Designed by Robert Tong and developed by Rodeo Construction, this luxury home features 7 beds and 11 baths on 1.4 acres of land. The residence offers grand spaces abound with miles of detailed moldings finished to perfection. The entry foyer boasts a majestic chandelier floating beneath a hand painted rotunda and dual circular staircase. 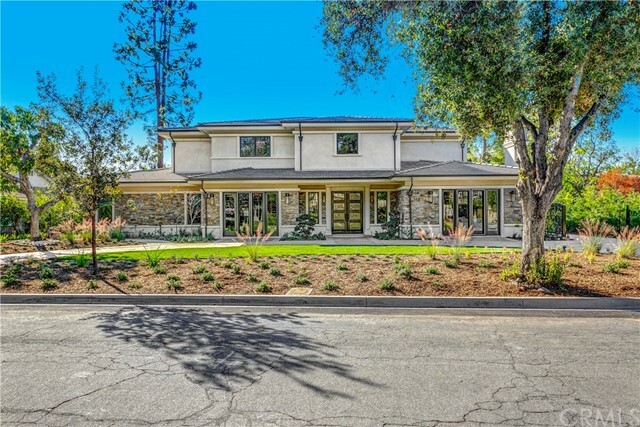 Home office wrapped in custom stained oak wo"
"Brand New Two-Story French Style Estate Located on the Desirable Street in the Upper Rancho Area. This luxury home featuring the finest in architecture, materials and craftsmanship. Exquisite artisan-crafted inlaid marble floors. High ceiling with hand painted mural dome with dual staircase in the hallway is amazing. Two Suites on the first floor for the elderly and guests. One Gym with built in mirrors and attached massage room with sauna and shower. 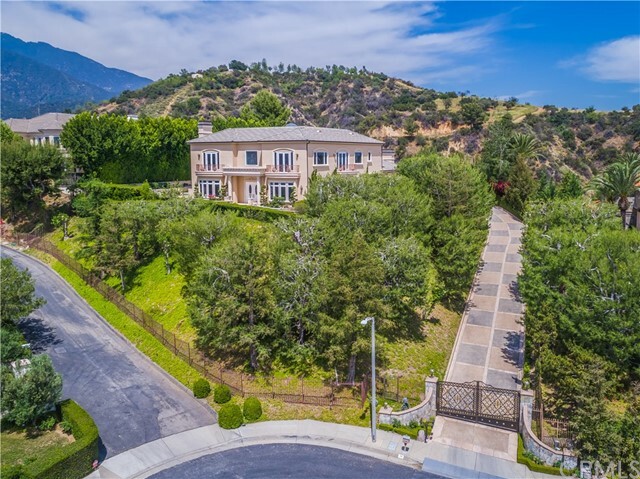 Highlights include formal living Room, forma"
"The magnificent state of the art Mur-Sol built, Robert Tong designed estate is located in the prestigious Santa Anita Oaks. Words cannot describe how exquisite this home is, it must be seen in order to comprehend the tasteful beauty, the quality of all aspects of the build, and the amazing design of this magnificent creation. Some of the features include a library, theater, gymnasium with sauna, elevator, preparation kitchen, and a large wet bar. The backyard has gorgeous landscaping, an outdoor"
"This beautiful luxury property is situated in the exclusive Whispering Pines Estates in Arcadia with its award winning school district. With 24 hour gated security and patrols, safety and privacy are priceless features and offer peace of mind. The prime location reveals a 270 degree view of the entire LA landscape, which is enjoyed throughout the custom home and infinity pool. The two story mansion designed by a local renowned architect is sophisticated and contemporary, offering over 9,500 squa"
"*** FINAL PRICE REDUCTION ***Prestigious Whispering Pines estate w/24 hour guard-gated community. This magnificent custom-built estate boasts over 8,000 square feet of living space with breathtaking 270 degree mountain and city views. The stunning home features an open and airy floor plan, high ceilings and an impressive grand entry with gorgeous chandelier and skylight to the stars. Lower level showcases beautiful marble floors and large windows throughout bringing in lots of natural light, as "
"This glittering, Mediterranean-inspired estate, is located in prestigious west Arcadia..The newest collaboration of Robert Tong and Frontage Estates, it stands out as one of Arcadia's finest..It's artistic and spacious from the grand foyer with it's artistic hand painted ceiling and decorative white marble, to the sweeping staircase leading to the second floor..Passionate effort can be felt in the intricate fixtures and hand painted ceilings while custom designed chandeliers illuminate the entir"
"**** Luxury Estate! Arcadia School district! **** The gorgeous single family located in prestigious Baldwin Stocker School Area. 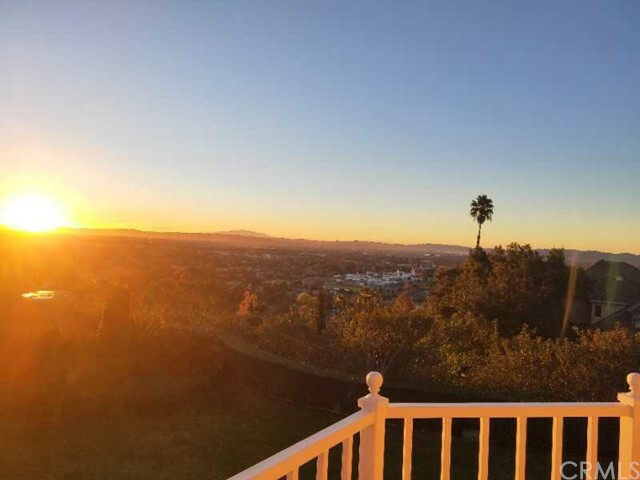 Located in one of the most prestigious and prime area, with walking distance to Library, Golf Course, West-field Mall, Santa Anita Race Track, Park, supermarket, restaurants etc. The house offers 8,600 SQFT of living space with 7 suites and 8.5 baths, land size 21,097 SQFT. The house built by Smith Development, Architect designed by PDS Studio. This stunning estate offe"
"Magnificent Mediterranean Grand estate of luxury on nearly an acre of resort like grounds in the heart of Arcadia. This 11,679 square feet with 8 bedrooms & 10 baths Estate sets the standard for truly exceptional properties. A stellar approach with circular drive invites you along enticing landscaping & water feature. Marble entry greets you with a grand staircase & large sparkling chandelier with 28' ceilings. A formal living room offers views of the north pool and a cascading waterfall. Formal"
"Newly renovated Mediterranean-style estate located within the prestigious 24-hour guard-gated Whispering Pines Estates in Arcadia boasts luxurious upgrades and magnificent Canyon and City Lights views. The extravagant entrance framed by bold palms and fountains welcome you into the high-ceiling foyer with a breathtaking view over the infinity pool. This 6-bedroom, 7-bath estate was fully renovated this year with the most exclusive materials and high-end appliances. High-ceiling living room and d"
"This Brand New, Contemporary Home boasts an unmatched sophistication. It is nestled in the highly sought after North Arcadia and Highland Oaks neighborhoods. The estate features an open floor plan with 7,500 sq ft of living space which including 5 generous bedrooms,5.5 bathrooms, and a well manicured lot that exceeds 25,101 sq ft. As you walk into this fabulous home, you are greeted with a gorgeous foyer area, extensive living room and a private executive office. The Gourmet chef's kitchen featu"
"Developed by Chateau Operating Corp., this stately Neo Federal Custom Designed home features 8,347 SF of living space on a substantial 23,121 SF lot. With 6 bedrooms and 7.5 bathrooms, the interior stuns with a New Hollywood Glam style with a Modern Classic take. A neutral color palette is contrasted with dark, dramatic woods with vibrant colors. A huge 2,850 garage on the ground floor features enough space for 8 cars and more; the recreation room which has a wall of ceiling to floor glass to pr"
"Unparalleled gated trophy estate on a flat 50,369 sq.ft. 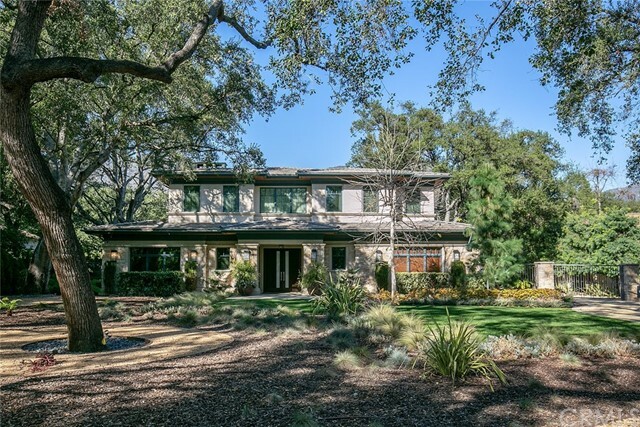 north/south facing lot in The Oaks, has a modern floor plan with downstairs master suite, guest house with full kitchen and fireplace, north/south facing lighted tennis court and elegant pool/spa. Imposing automatic gates welcome you onto the circular driveway accented with koi pond. Two-story grand entry with curved staircase and reception area immediately impresses. To the right is the elegant office/library with fireplace, custom built-"
"This is a brand new (2019) European style luxury home featuring a charming mix of traditional and contemporary styles. This 2 story home has 6 bedrooms and 8 bathrooms with both stairway and elevator access. A recreation room/guest suite at the back is accessible from the main house. Entering the home from the circular driveway is a bright 2-story tall marble foyer. The 1st floor are a living room, home office, movie theatre,guest half-bath,a formal dining room,a large family room with an activi"
"Stunning south facing brand new Tuscan style custom built estate designed by well known Robert Tong.Built by Tipping construction and located on a tree lined street with excellent schools. This fascinating 7 bedroom estate with pool house is perfect for a big family. It boasts top of the line materials and workmanship with manicured landscape. Front entrance is adorned with hand set marble tiles and covered wall wood panel. The living room opens up to the formal dinning room. Gourmet kitchen fea"
"This luxurious dream home awaits you. This hard to find, north side of the street south facing property is beautifully situated in the prestigious Upper Rancho area of Arcadia. 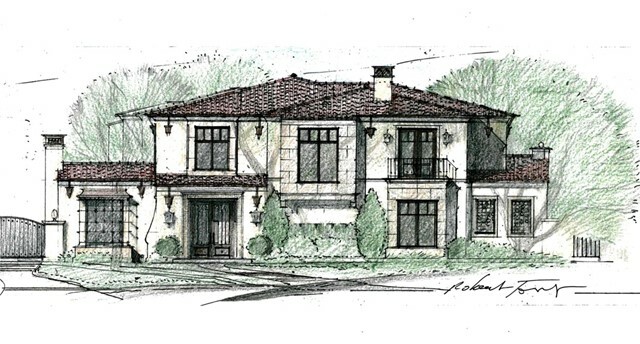 Approved plans designed by prominent designer Robert Tong features a 9,572 square foot two-story Mediterranean style masterpiece. 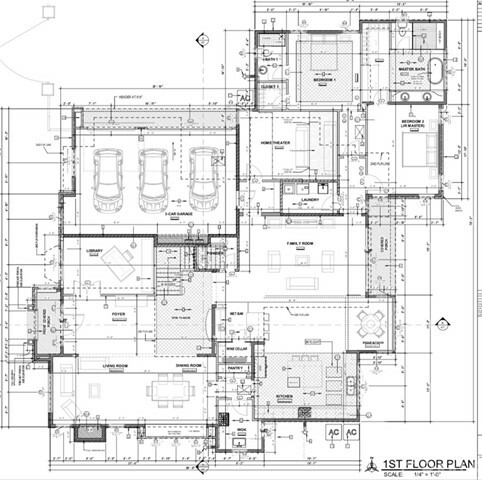 The floor plan includes 6 en-suite bedrooms, gourmet kitchen, library, living room, family room, dining room, gym, theater, wine room, wine cellar and garage parking for 4 cars. The beautiful l"
"Sensational Georgian Manor in 8,448 Square feet of opulence. This distinctive property in Arcadia's prestigious Upper area features 6 bedrooms and 6.5 baths. You realize upon entering the wide circular driveway the presence that this magnificent estate commands. Grand entryway with chandelier and 28 foot rotunda ceiling will be whispers of delight among guests. Designed by the famous Robert Tong, culinary energy flows in the Master chef s kitchen featuring Sub-Zero appliances. 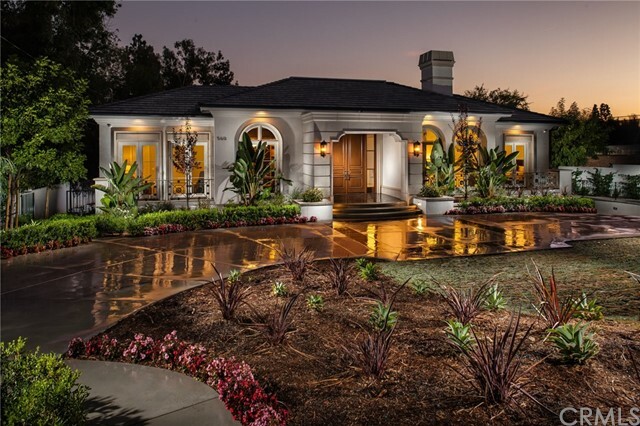 Rel"
"Centrally located in the highly desirable Baldwin Stocker area of Arcadia, this brand new Santa Barbara style home was masterfully constructed by Mur-Sol Construction, designed by Robert Tong, and developed by Perfect Brothers Development Co. The highest quality of craftsmanship and materials were used in this tasteful 8,195 SQ FT. estate perfectly situated on 80 feet wide frontage of prime real estate. A peaceful courtyard greets you as you enter your new home consisting of 5 bedrooms 6.5 bathr"
"Magnificent south-facing estate designed by Robert Tong, located in the prestigious Baldwin Stocker area. Features include: Master suites on first and second floor, Private elevator, Tennis court, Theater, Gourmet kitchen, Wok kitchen, Library. Luxurious crystal chandeliers and marble floors throughout, Grand 2-story ceiling front entryway foyer. Upper level masters includes private foyer, waiting area, balcony, double walk-in closets, separate linen closet, vanity area, jetted tub, multi-head w"
"Experience this Brand New North Facing Masterpiece of Achievement in Design and sophistication, built by reputable and local builder, Franklin Construction. This 5 beds 5.5 bath estate exudes quality & perfection throughout. Designer landscaping with gated entry leads you to beautiful wrought iron front doors. As you make your way to into this exquisite property you are greeted with cathedral high ceilings and a gorgeous marble entrance with a sparkling crystal chandelier in an oval rotunda. The"
"This gorgeous estate is located on one of the most beautiful streets in Arcadia s premier Upper Rancho, featuring six suites with over 6,300 sqft of living space on a spacious 25,330 sqft lot. 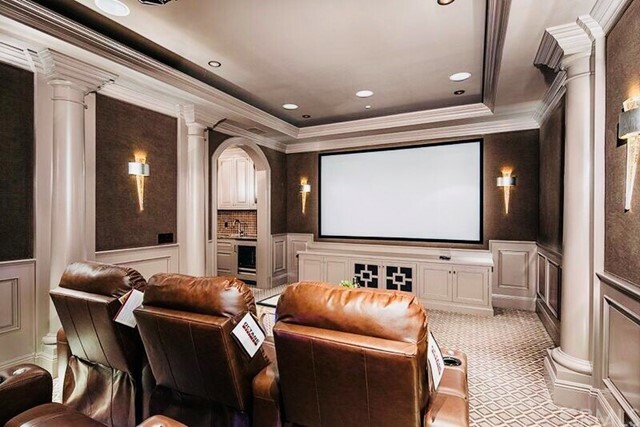 Extensively redesigned interiors accentuate the home s original quality with luxurious updates that include beautiful flooring, modern kitchen and bathrooms, elegant moldings, art nooks, comprehensive security system, a California basement with wine cellar, and much more. Adja"
"Panoramic view of city lights. Elegant English Tudor style located in the Whispering Pines Estates gated community with 24 hours security guard. Marble entry , living room with bay window & fireplace, study room/library with built in oak bookshelf. Formal dining room with French door leading to a view balcony, spacious family room with built in shelf & fireplace, magnificent wet bar. Kitchen with center island & sub-zero refrigerator. Down stair has a guest suite & powder room, master bedroom ha"